A meticulous rural ranch home with beautiful Hickory Wood accents throughout, on 30 wooded acres with a nice spring fed pond & large outbuilding. 3 bedrooms, 2.5 baths. Open concept with large living room, dining area and kitchen with custom built hickory cabinets and a huge corner pantry, all appliances incl. Very nice 4 season room. Master suite, main floor laundry. Lower level has large family room with wood stove, 2 bedrooms, full bath, storage and a walkout to the back patio. 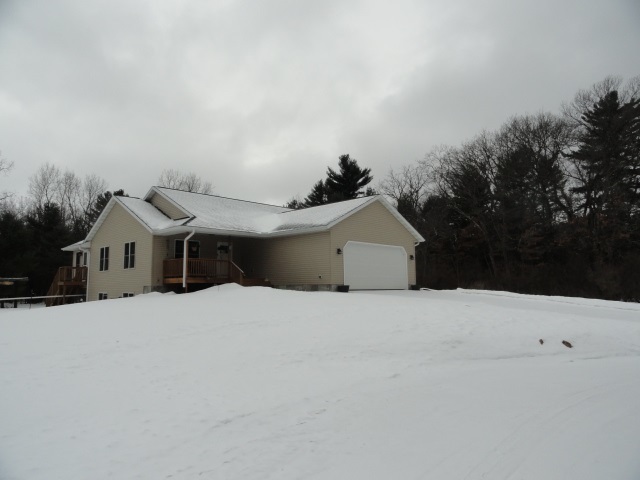 Central air, 2 car attached garage and a 30x50 detached garage. 2 acre food plot. Wildlife galore. This is a warm & inviting home.